Trends may come and go, but my goal when buying a new item for my apartment is always to choose something well-constructed that I will want to use for a long time and maybe even my whole life. A few ways I’ve learned to increase the chances of this happening are to stick with low-tech home goods made of natural materials in neutral colors and classic shapes. And research, research, research. Wirecutter is a great source where I found a number of my favorite things. Without further ado, here they are. I have two of these at my dining room table, but they could work as a desk or side chair as well. I love the modern take on Shaker furniture and the black adds some moodiness. You can always add more chairs to your collection as your needs change. 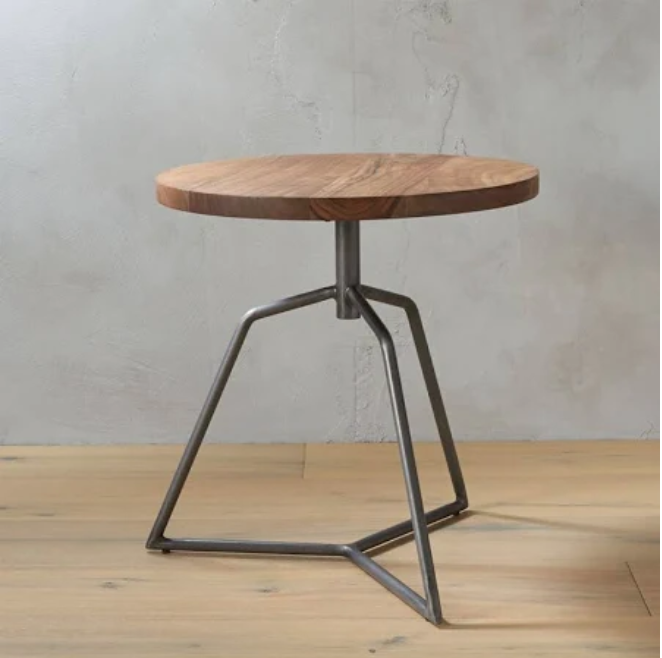 This sturdy little stool serves triple duty as a coffee table, side table or extra place for guests to sit. Made from acacia wood, it feels at home with a variety of home decor styles and is perfect for small spaces. A big, non-wobbly surface to do your food prep on goes a long way towards improving a rental kitchen. This is one you will use every day. These classic French glasses are near impossible to break. The smaller size is great for wine or even whiskey and the larger size is perfect for water. These are the only glasses I own. A quality chef’s knife is a top contender for an item you will own for a lifetime and use for pretty much every meal you prepare to boot. These Japanese designed scissors make everyday cutting and snipping a pleasure. 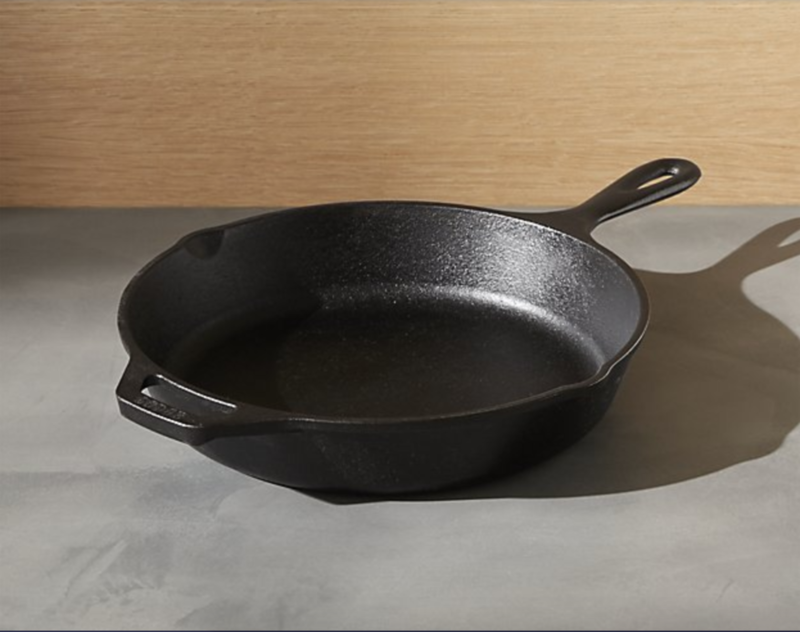 I’ve had my cast-iron skillet since college and it is the pan I reach for most. A quick coating of coconut oil and cleaning without using soap keep it in top condition. A classic if ever there was one. Great for cooking grains and reheating leftovers. This new direct to consumer brand makes Dutch ovens that stand up to the big name French brands at a fraction of the price. Indispensable for cooking pasta, beans and popcorn. A turned wood beauty to admire on your table nightly. I got this as a Christmas gift last year and my morning cup has been much improved. The beautiful design helps too (it’s even part of MoMA’s permanent collection). This Asheville based ceramics company makes beautiful pieces. The smaller two bowls are perfect for olives and pits. Feel like you’re camping every day with these enamelware mugs in subtle shades. I like to eat ice cream out of mine. I’ve taken an anti-duvet stance (too hot and too much of a hassle to clean) and just use this wool blanket in the winter instead. Simple and toasty. I remember this Dieter Rams icon from my parents’ nightstand and it still holds up. I got mine in an effort to keep my phone out of the bedroom.